The Ionic Bulb : Welcome to the Ionic Bulb website. Ionicbulb.com, Inc. is a wholly-owned subsidiary of Zevotek, Inc., a U.S. public company that trades under the stock symbol ZVTK. But this light bulb has changed my opinion on light bulbs such as this one. Within one day I could tell a difference. My husband didn't sneeze his head off through out the day Is the first thing I noticed when using this light bulb in our bedroom. 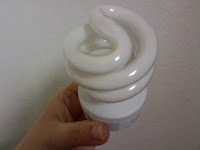 When these first came out my friend had several in her house and the bulb looked like it would split in half if it got really hot, And the base was really cheap made. 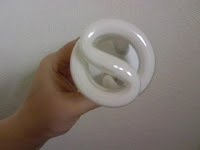 The Ionic bulb is really good made and the base was a hard plastic which I really liked. When I first pulled out the Ionic Bulb it was really big. I was worried that such a big light bulb would put off alot of heat and unwanted light in the bedroom, But after I screwed it into my plugin lamp and put the shade back on and turned the light on it didn't make the room hot or put off too much light. 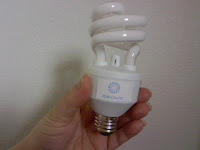 I love this light bulb and plan on investing in more to use throughout my house.